Are You Making Healthy Smoothie Mistakes? Be careful! Are You Making Healthy Smoothie Mistakes? Everybody knows this by now but… I love smoothies! 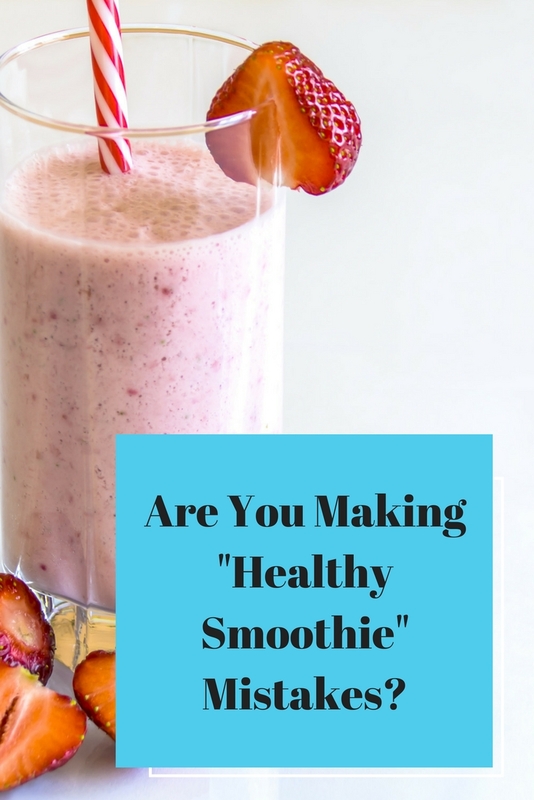 I love that they are easily adjusted to everyone’s tastes so anyone can whip up a delicious smoothie in minutes, I love that they are a super quick and easy breakfast, and I love that they can be super healthy too. Notice that bold text? Smoothies CAN BE super healthy, but that’s not always the case. If you are a long time reader, you know that I struggled with getting enough fruits and veggies into my diet and I turned to smoothies to help me reach my recommended 5 a day. I never went too crazy with my servings and kept it around 2-3 servings per smoothie. I recently learned that you should only be getting 2 servings of fruit from your smoothies in a day. You may think that packing in as many fruits as possible into a smoothie makes for a super healthy drink, but let’s look at why it doesn’t work like that. If you are eating a whole piece of fruit, I would tell you not to worry about the sugar content in the fruit because your body has time to digest the fruit as you are salivating, chewing, swallowing, etc. When eating the whole fruit, your body has time to process the food and sugars as it should. When you drink your fruit, all those sugars are hitting your system at once, sending your blood sugars soaring. Your body doesn’t have the time it needs to start the digestion process and digest the sugars properly. When making your smoothie, make sure you are reaching for fruits low in sugars, like berries. If you are adding frozen fruit, make sure they are unsweetened, with no sugar added. So there you are, in your kitchen. You have your blender out and you are dumping things in it like you are a smoothie artisan. Fruits, peanut butter, milk, yogurt, etc. If you aren’t careful, you could easily end up with a 600 calorie smoothie! This smoothie is a whopping 600 calories! While all these ingredients ARE healthy, if you are trying to lose or maintain weight, this is going to blow your calorie budget out of the water. It’s important to remember that healthy foods still have calories. This smoothie, while still delicious and healthy, is only 200 calories. This makes a perfect snack, or a light breakfast. Chia Seeds – With only 60 calories per tablespoon, chia seeds will give you 5g of fiber and 3g of protein. Flax Meal – At 35 calories per tablespoon, flax meal adds 2g of fiber and 2g of protein. Instead of milk, use a dairy free alternative. It can cut down on the calories. Don’t use protein powders – unless you absolutely need it. Most people are getting way more then the recommended protein amounts, and any extra protein your body doesn’t use is a waste of calories. Keep track of what you are putting into your smoothie. 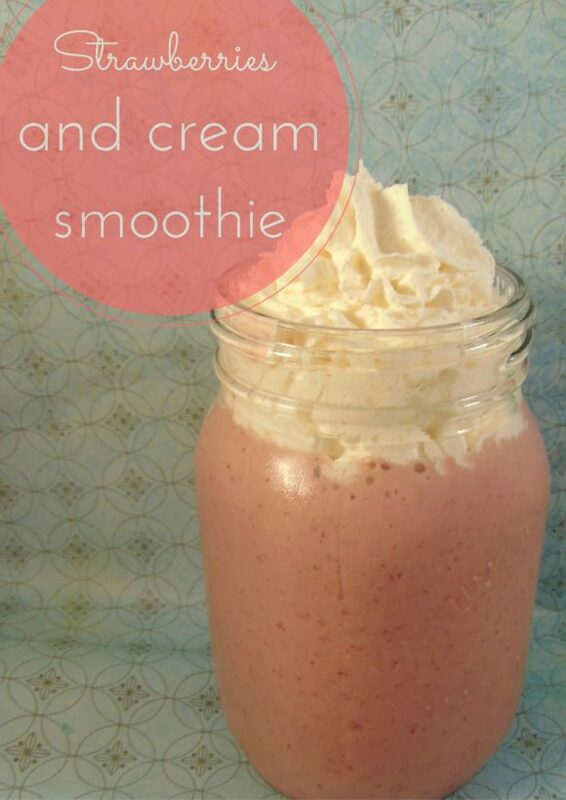 Try and keep under 350 calories per smoothie. Long Answer: All of the above! Previous Article← SMASH book challenge – 30 prompts!